The Fucsia 8 by Flos is a pendant luminaire system. The diffusers of Fucsia 8 sting immediately by its conical shape in the eye. 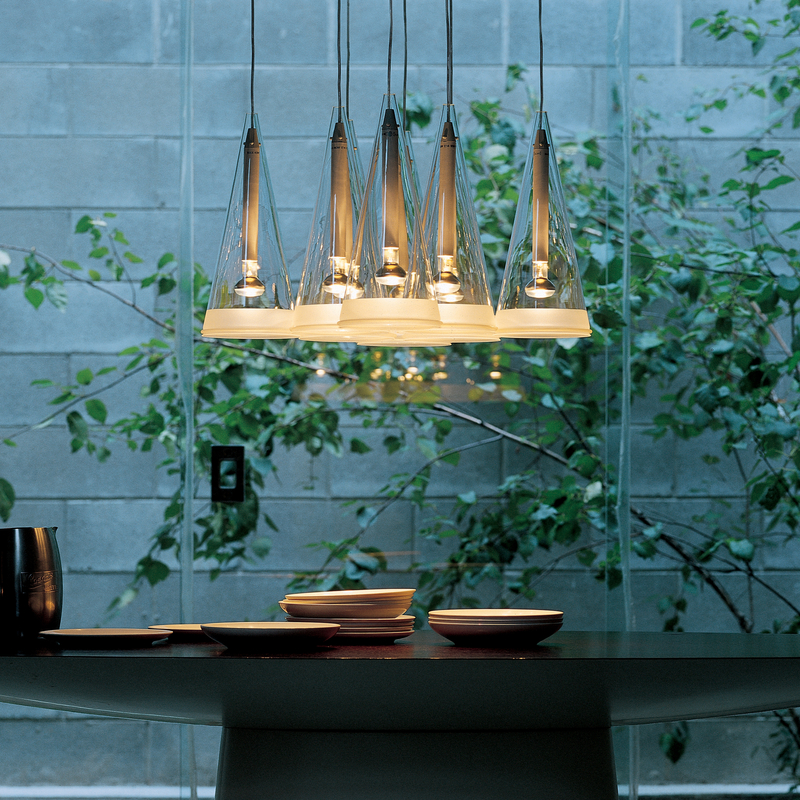 The eight elements of the pendant lamp by Flos are arranged in a diamond shape and are perfect for lighting an area with direct light.